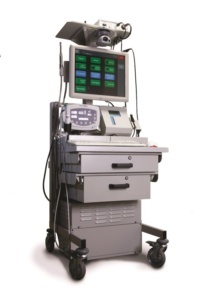 What telemedicine options are available at ANMC? ANMC Providers and Specialists offer a broad range of visits and consults using telemedicine technologies. Most common are either by video appointments or electronic consultations. Services may vary by the capability and equipment within your local clinic. What is a video appointment? A video appointment uses video cameras and secure software to connect you with health care providers who are not located near you. Through video technologies, ANMC can provide some appointments right in your local clinic. You can interact with your provider to address questions or concerns about your health care. Your video visit will be private and confidential. What are the benefits of a video appointment? When your local provider (either a Community Health Aide or Primary Care Provider) needs advice, an opinion, or recommendation regarding a specific problem, he/she can request an electronic consult. Your provider can send data (pictures, laboratory or test results, X-rays, etc) over a secure connection to another provider to get advice and input on diagnosis, treatment and care. 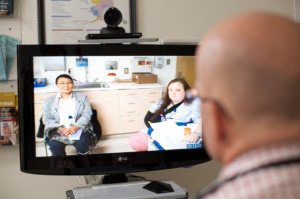 In much of the Alaska Tribal Health System, telemedicine carts are used for this purpose, but other computers or mobile devices can also be used. You do not have to travel to the consulting provider to receive this care, making this a very convenient and fast way to access specialists.